We at PhotoForum are deeply saddened to learn of the death of photographer Glenn Jowitt. 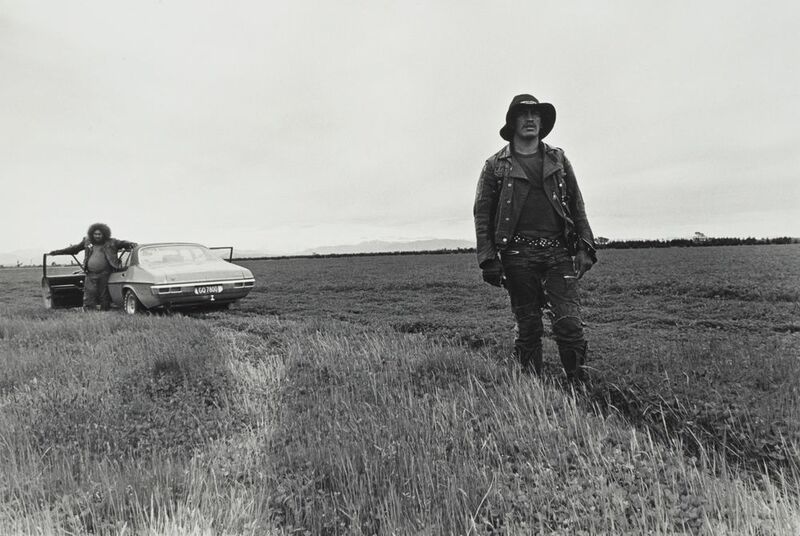 PhotoForum is proud to have had a long association with Glenn, having first exhibited his work in Ten Christchurch Photographers at PhotoForum Gallery, Wellington in 1978, then his Race Meetings in New Zealand in 1979 and Black Power, Christchurch in 1981 at the same venue. He was a speaker in the 1988 PhotoForum Winter Lecture Series, and exhibitor in the group shows Open the Shutter, 1994 and up:date// The Active Eye in 2000. The Black Power series featured in PhotoForum 46 (August 1980), and Mauke, Cook Islands, 1982 appeared in New Zealand Photography from the 1840s to the Present, 1993. p. 73. This year his work was included in the exhibition History in the Taking – 40 Years of PhotoForum, and the book PhotoForum at 40. Glenn is best known for his extensive photography of Pacific Island people both in New Zealand and in their home countries. His series Polynesia Here and There, originally shown at Auckland Art Gallery in 1983 and in Paris in 1986, has recently been acquired by the James Wallace Arts Trust and is currently being exhibited at the Pah Homestead Galleries, until 3 August. 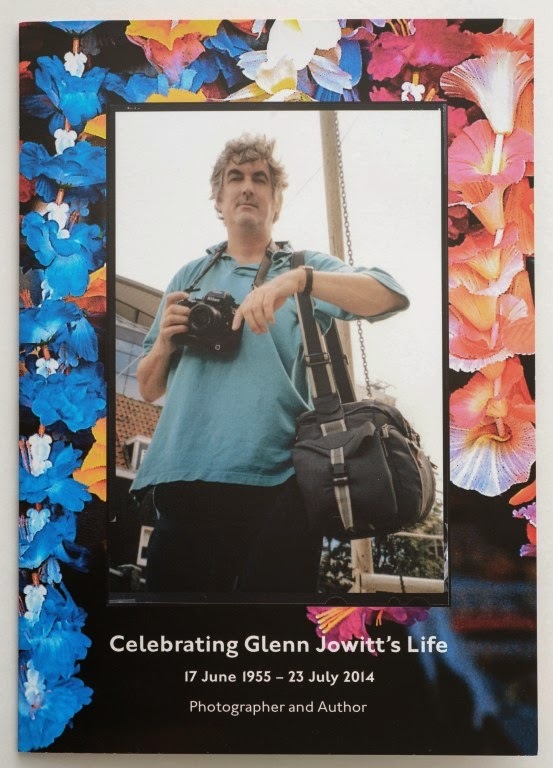 Tribute to Glenn Jowitt – from Ron Brownson, Senior Curator, NZ & Pacific Art, Auckland Art Gallery. 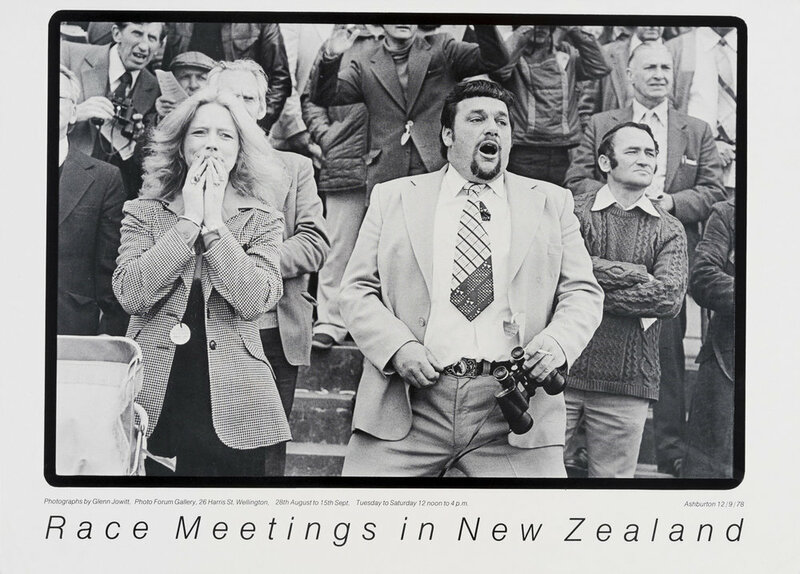 Poster for the exhibition Glenn Jowitt - Race Meetings in New Zealand at PhotoForum Gallery, Wellington, 28 August - 15 September, 1979. Glenn Jowitt. Devil and Baldie, 1979. Photo-Forum 46 (August 1980). p. 48. Glenn Jowitt. Mauke, Cook Islands, 1982. From 35mm colour transparency. Published in New Zealand Photography from the 1840s to the Present, 1993. p .73.